What Is Keurig 2.0 Needle Maintenance? Because it is so low-maintenance in general, it is easy to forget that there is some work you may have to do with your Keurig. Maybe you have started to notice a problem with your Keurig brewing system. All is not lost, as there may be a simple fix to the problem. If you have noticed the brewing performance has reduced, then you may be at the point of having to perform some maintenance. The Keurig 2.0 needle maintenance is performed when the system is not as effective as it once was. What happens with time is that the Keurig system needle accumulates debris and detritus from brewing. This buildup of crud can cause the whole Keurig brewing system to malfunction when it is time to brew beverages. The malfunction is rather basic, in that the needle is essential to pierce the lid of the K-cup so water infiltrates in the brewing process. It means that when the needle is clogged, it is time to perform Keurig 2.0 needle maintenance. For starters, unplug your machine. The reason? If you are poking around in an electric appliance, particularly with metal and water around, it can be deadly. Start first by unplugging your Keurig machine. 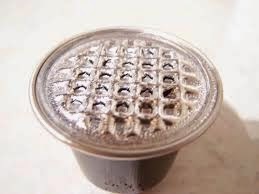 Second, open the lid on the Keurig, just as you would when you are about to drop in a K-cup. 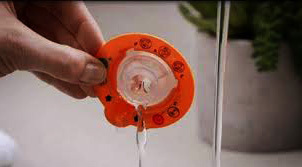 Make sure you toss out any K-cup that is in place before starting to perform Keurig 2.0 needle maintenance. Next, note that the needle is technically two separate items. There is one atop and one that pierces the K-cup from below. You will need to clean both to perform the maintenance. Take something as simple as a flattened paper clip. Insert the end of the paperclip into the needle, until all debris is safely dislodged. Do the same to the bottom needle as well. 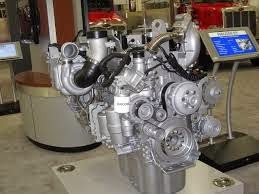 This is all that is needed to clean the system. Now you can enjoy a cup of coffee, fresh and hot, the way you like it. The Keurig is simple, easy-to-use, and revolutionized coffee brewing into a clean proposition. No longer forced to deal with loose coffee grains unleashed all over your countertops, timers, and baskets, Keurig is efficient and clean. Single-serve coffee and tea pods and k-cups are in general a dream product that makes life easier. 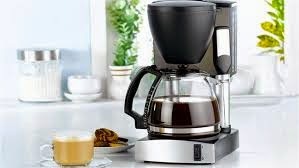 The benefits of Keurig include the ability to purchase its brewing machines or K-cups at everything from the supermarket to the stationery supplies store to gas stations to Keurig online. Keurig online supplies a time-saving and easy auto-replenishment ordering process on its site. Never run out of K-cups or pods and never have to run out to the store in an unplanned trip. Or, enjoy the sheer variety available at local retailers. It can be fun to discover new flavors of coffee products for your Keurig. 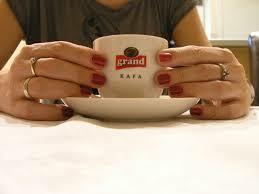 In particular, at the Keurig site you will find offerings of many brands. They include many of their own, including many from Keurig Green Mountain’s name-sake coffee lines in K-cups or bags. It also includes both its hot beverage and cold beverage lines to include coffee, tea, and soda from Van Houtte, Tully’s Coffee, Vitamin Burst, Timothy’s World Coffee, Donut House Collection, Union Street Lounge, Diedrich Coffee, Tierney’s Iced Tea Co., Coffee People, Seraphine, Cafe Escapes, to Rita’s and Tina’s, Barista Prima Coffeehouse, The Original Donut Shop Coffee Red Barn Craft Soda, Laughing Man, Flyte, Flynn’s Soda Shop, and Keurig Kold and Keurig Hot lines. 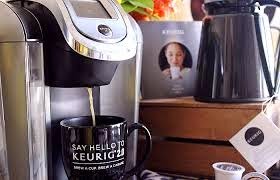 The big brands that you grew up with also have a presence among the Keurig at-home brewing options for home delivery. Folger’s and Newman’s own, for instance, are among the products availabel for auto-delivery. There is so much variety just on the Keurig Green Mountain site alone it is hard to imagine shopping anywhere else. Though, it is certainly great to have the products readily available in so many places. It keeps the products more competitively priced and selection varied. If you are more of a mug of coffee type of person, who needs a couple refills of the traditional cup, Keurig has thought of you. They now offer the K-mug sized cup for you. How much do you know about your beloved Keurig? Well, did you know that the now ubiquitous K-cup made its debut in 1998? Or, that the name Keurig is a Dutch word that means “excellence”? It is both the founder of single-sup brewing packs, and still maintains its lead, leagues ahead of the competition in North America. The brewing system allows for easy-serve singl-brewing of varied tastes within a short period of time. For that reason, many people were first introduced to K-cups in the workplace. It is easier than guessing who left the coffee pot sitting uncleaned. It is also easier than guessing how long that coffee has been sitting in the pot. Instead, 10 workers could line up one after another without having to play with any carafe, which can break, and get dirty. They simply could choose a K-cup, insert, and put their coffee cup in place. Within one minute, they would have a cup of fresh and hot coffee. No cleaning was involved other than removing the old K-cup, pouring in water, and installing the new one between uses. What Is The Relationship Between Keurig And Green Mountain Coffee? Keurig is a subsidiary of Green Mountain Coffee. What that means for you is that both the K-cups and pods are available, while Green Mountain’s fair trade varieties of coffee are also offered up. It is a good deal for consumers who are concerned about environmental impact as well. The company is setting its sites on providing fully recyclable products by 2020. Though, other k-cup providers, such as Seattle’s Best already have fully biodegradable K-cups on all of their products. Those are of course compatible with Keurig machines, as are all K-cups. It is exciting to see what developments Keurig Green Moutain will com up with next. In the meantime, continue enjoying both hot and cold beverages that the company offers. 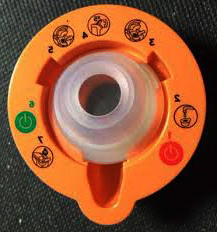 Related Post "How Do You Perform Keurig 2.0 Needle Maintenance"
Here is a useful link to site that offers maintenance – LVI-Talo Salmenautio CHeck it sometimes, it could be helpful!